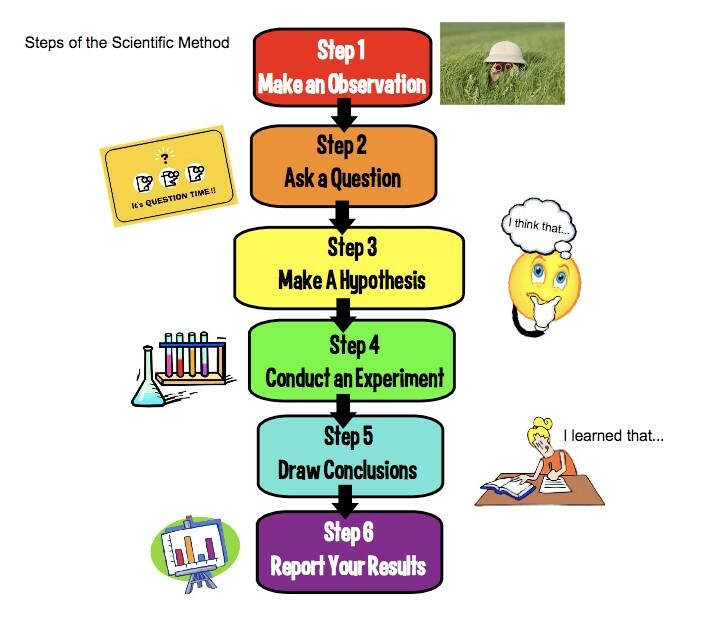 The basic steps that scientists follow in revealing facts and solving scientific problems (a plan for solving a problem). Six to Seven Steps – depending on the source. What you perceive with your senses? What can you observe about the chosen topic? Usually a “How’ or “Why” question? It is carried out based on research and prior knowledge. An answer to the question framed. 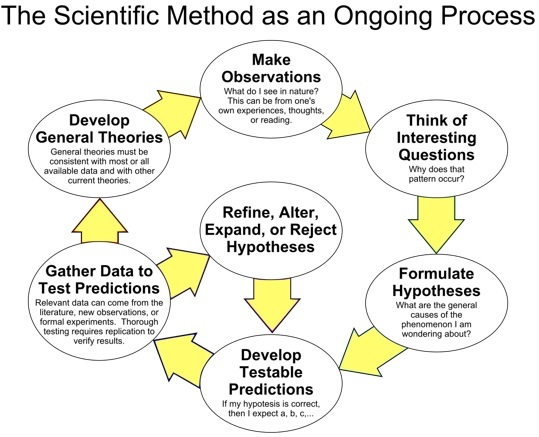 There is no right or wrong hypothesis using our question lets develop a hypothesis. Both formats include the all important “because statement” used to justify our supposed forecast. This is where an experiment is conducted. A set of repetitive methods is developed to conduct the experiment. Includes variables – a measuring quantity that is used or changed during the experiment. What are our variables used in the experiment? Explaining the data gathered from the experiment. Lastly, observations, information and data are collected from the experiment. Use of pictorial representation via charts, graphs, averages, percentages, etc. A summary of results, the answer to the chosen question. What could go wrong and what are the possible sources of error? To check whether the data supports the hypothesis. Yes then you made a scientific Discovery!! If No make a new hypothesis and test again. How to test your hypothesis? How will you analyze data? What is the process of conclusion? Independent variable or dependent variable.